Come into Ray Brandt Mitsubishi to have your brakes serviced! Our staff has excellent diagnostic skills and extensive training on all vehicle repairs so we can provide New Orleans drivers with a quality service. Come into Ray Brandt Mitsubishi’s comprehensive service center next time your vehicle needs service. From oil changes to brakes to full on transmission rebuild, our Service Department has you covered! If your brakes are squeaking, or you notice a decrease in stopping power, it may be time for a routine brake service. If not addressed quickly, you risk damaging your brake components which can make for costly repairs. Why is Important to Have Routine Brake Service? Your brakes are the only thing that keeps your car from colliding with other vehicles on the road. That makes them important right? Something as simple a changing your brake fluid could end up being the difference between an accident and a safe ride home. Overtime, things like brake pads are worn down and need to be replaced to maintain the optimal stopping power for your vehicle. If they aren’t replaced after the wear down, then metal will begin to dig into your vehicle’s rotors instead of the brake pad. This can cause grooves and other damage that ultimately means replacing your rotors, which can be a costly and avoidable repair. Additionally, things like leaking brake lines can hinder your braking power by reducing pressure in the system, and dirty brake fluid can cause malfunctions. The bottom line is that your brakes keep you, and your loved ones, safe. That is why they are important, and why it is essential to maintain them over the life of your vehicle. Luckily, Ray Brandt Mitsubishi has a complete service center to assist you with your maintenance of your vehicle. Having brake service done at Ray Brandt Mitsubishi is an ease. Our Service Department can handle all of your vehicle repairs, and the environment you encounter when you get here is welcoming and comfortable. Our technicians will listen to your concerns and get started on the diagnostic testing for your vehicle. Once that is done, they’ll inform you of their findings and make suggestions of how to proceed. Furthermore, our team explains the issues to you as well as the implications of their findings. This helps you be a more informed driver and car owner. 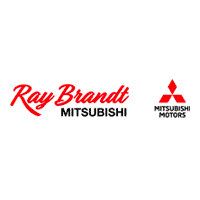 On top of that, Ray Brandt Mitsubishi uses quality Mitsubishi parts so you can be certain your repairs are being done with not only high quality service, but parts as well. Come by Ray Brandt Mitsubishi today or set up an appointment online today to have your vehicle servicing done. Keep your vehicle well oiled, your brakes functional, and your loved ones safe by choosing Ray Brandt Mitsubishi in Harvey, LA for your repairs.